Is there an alternate Universe with a different version of you, and all the outcomes you didn’t choose? In what way, if at all, are the ideas of Everettian Quantum Mechanics and Eternal Inflation related? Can we distinguish between the multiverse as implied by each? There are a lot of different possibilities for what people might mean by Multiverse as opposed to Universe, so let’s go through them, starting from the least conservative (with the fewest new assumptions) and moving on through the increasingly more speculative. 1.) The Universe beyond what we can observe. When we speak of “the Universe,” we often mean the Universe that we can observe. Because the Universe that we know and recognize began with an event we know as the hot Big Bang — where a hot, dense, matter-and-radiation-filled Universe emerged and began expanding, cooling and collapsing into clumps under its own gravity — some 13.8 billion years ago, we’re fundamentally limited in terms of what we can see. Signals may have emerged at exactly that instant and traveled, unimpeded, at the speed of light [in a vacuum] through the constantly expanding Universe all that time, and yet there’s a finite distance that signal could’ve traveled. In our Universe with normal matter, dark matter, dark energy, neutrinos, radiation and all we know, that corresponds to a distance of 46.1 billion light years, centered on us. 2.) Different “pockets” of Universe where inflation ends. The Big Bang might have been the beginning of what we know as “our” Universe, but it’s not possible (nor accurate) to extrapolate backwards to an arbitrarily hot, dense state. Instead, we know (from the cosmic microwave background [CMB]) that the maximum temperature the Universe reached in the hot Big Bang was no greater than about 10³⁰ K.
that contains a uniform spectrum of fluctuations. Inflation is like a ball that rolls down a hill, only it’s a quantum ball, so there are probabilities in every location that it will (or won’t) roll down that hill. Images credit: E. Siegel. Inflation ends (top) when a ball rolls into the valley. But the inflationary field is a quantum one (middle), spreading out over time. While many regions of space (purple, red and cyan) will see inflation end, many more (green, blue) will see inflation continue, potentially for an eternity (bottom). In the places where inflation stays atop the hill, not rolling down, inflation continues, creating more and more (inflating) space. Where it does roll down the hill, inflation comes to an end, creating the hot Big Bang. While inflation came to an end in our region of space some 13.8 billion years ago, it’s unreasonable to expect it came to an end everywhere. Instead, some regions of space will continue to inflate forever. So long as the rate at which space inflates is greater than the rate at which pockets of inflation come to an end (which it is in all working models), there will both be an infinite number of “Big Bangs” that are disconnected from one another, and also inflation will continue in the regions where it doesn’t end for an eternity into the future. 3.) Different versions of you in different sections of the Multiverse. There are some 10⁹⁰ particles (including photons and neutrinos) in our observable Universe, all having undergone interactions and collisions with many other particles. They have positions and momenta, they have their own unique history, and some ~10²⁸ of them combine, right now, to make each and every one of us. If we take the expected rate of space’s expansion during inflation, and allow that most of space has been expanding at that rate for the entire history of our Universe (13.8 billion years), we can calculate how many possible Universes there are similar to our own. or whatever other decision you did (or didn’t) make. Our Universe has a lot of particles in it: about 10⁹⁰. Every time two particles interact, there’s not just one possible outcome, but an entire quantum spectrum of outcomes. As sad as the case is, there are way more than (10⁹⁰)! possible outcomes for the particles in the Universe, and that number is many googolplexes times larger than a paltry number like (10¹⁰)^50. In other words, the number of possible outcomes from particles in any Universe interacting with one another tends towards infinity faster than the number of possible Universes increases due to inflation. You would have needed inflation to have been going on literally forever before our Big Bang for this to be possible, and that would violate the Borde-Guth-Vilenkin singularity theorem, which shows that inflation cannot be past-timelike complete. In other words, this one seems unlikely. 4.) Entangled versions of you in different pocket Universes. This reaches for the second part of Chris’ question: the part about Everettian quantum mechanics. Assuming that option 3 is true, and that there are other versions of you in other pockets of the Multiverse, are they entangled? Quantum physics is open to interpretation, meaning that there are a number of different approaches to it (or ways of looking at it) that give the same answers. Quantum systems can either have wavefunctions that spread out over time and instantaneously collapse when an interaction occurs, for instance, or can have an ensemble of possible outcomes that one is selected from as we go down that path. Hugh Everett’s interpretation — the Many-Worlds Interpretation of quantum mechanics — holds that there are an infinite number of parallel Universes out there, and whenever a decision is made, we go down some of those paths and not others. So there are Universes out there where you did (and didn’t) take that job, where you did (and didn’t) buy that house, and where you did (and didn’t) kiss your love interest at the critical moment, among others. Even if a truly infinite number of Universes did exist, there is no way to create an entanglement between them that’s clear, although that doesn’t stop people from speculating. This is another untestable possibility, and one that requires a number of quite extraordinary assumptions. Yet, we can go even further down the Multiverse rabbit-hole, if we want. 5.) Different Universes with different laws of physics. This is an even more highly speculative one, predicated on an assumption: that when inflation ends, there are multiple ways for it to end, resulting in different laws of physics and/or fundamental constants from the Universe we presently inhabit. This would be a Multiverse where some pockets of it recollapse, others expand so rapidly that no stars or galaxies ever form; where some have no dark matter and others have all dark matter; where some have bigger or smaller or even negative cosmological constants. There may even be Universes out there that have entirely different particles and interactions from our own. There is no way to test this. From what we can observe, we are pretty sure that option 1 is true: there is more Universe out there than what we can see. From what we know of inflation, we’re pretty sure option 2 is also true: there are regions of space outside of our Universe where inflation ended at different times, each with their own hot Big Bangs, as well as regions where inflation is still ongoing, and where it will go on eternally into the future. And from what we know of different infinities, we’re pretty sure that number 3 isn’t true, and hence option four cannot be true either. Option five? Many entertain this, but there’s no evidence for it, it’s not testable, and the fact that inflation ends well below the Planck scale gives us serious reasons to doubt that this is even possible. (Yet many will continue to entertain it without ever giving this a second thought.) The Multiverse is almost definitely real beyond any reasonable doubt, but what version of the Multiverse you subscribe to makes all the difference in the Universe. THE curtain at the edge of the universe may be rippling, hinting that there’s more backstage. Data from the European Space Agency’s Planck telescope could be giving us our first glimpse of another universe, with different physics, bumping up against our own. That’s the tentative conclusion of an analysis by Ranga-Ram Chary, a researcher at Planck’s US data centre in California. Armed with Planck’s painstaking map of the cosmic microwave background (CMB) – light lingering from the hot, soupy state of the early universe – Chary revealed an eerie glow that could be due to matter from a neighbouring universe leaking into ours. This sort of collision should be possible, according to modern cosmological theories that suggest the universe we see is just one bubble among many. Such a multiverse may be a consequence of cosmic inflation, the widely accepted idea that the early universe expanded exponentially in the slimmest fraction of a second after the big bang. Once it starts, inflation never quite stops, so a multitude of universes becomes nearly inevitable. “I would say most versions of inflation in fact lead to eternal inflation, producing a number of pocket universes,” says Alan Guth of the Massachusetts Institute of Technology, an architect of the theory. Energy hidden in empty space drives inflation, and the amount that’s around could vary from place to place, so some regions would eventually settle down and stop expanding at such a manic pace. But the spots where inflation is going gangbusters would spawn inflating universes. And even areas within these new bubbles could balloon into pocket universes themselves. Like compositions on the same theme, each universe produced this way would be likely to have its own spin on physics. The matter in some bubbles – the boring ones – would fly apart within 10-40 seconds of their creation. Others would be full of particles and rules similar to ours, or even exactly like ours. In the multiverse of eternal inflation, everything that can happen has happened – and will probably happen again. That notion could explain why the physical constants of our universe seem to be so exquisitely tuned to allow for galaxies, stars, planets and life (see Just right for life? below). However, if two bubbles started out close enough that they touched before expanding space pushed them apart forever, they could leave an imprint on each other. “You need to get lucky,” Johnson says. 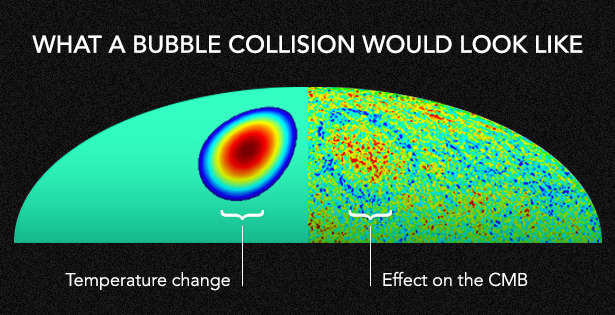 In 2007, Johnson and his PhD adviser proposed that these clashing bubbles might show up as circular bruises on the CMB. They were looking for cosmic dance partners that resembled our own universe, but with more of everything. That would make a collision appear as a bright, hot ring of photons. By 2011, they were able to search for them in data from NASA’s WMAP probe, the precursor to Planck. But they came up empty-handed. Now Chary thinks he may have spotted a different signature of a clash with a foreign universe. Instead of looking at the CMB itself, Chary subtracted a model of the CMB from Planck’s picture of the entire sky. Then he took away everything else, too: the stars, gas and dust. With our universe scrubbed away, nothing should be left except noise. But in a certain frequency range, scattered patches on the sky look far brighter than they should. If they check out, these anomalous clumps could be caused by cosmic fist-bumps: our universe colliding with another part of the multiverse (arxiv.org/abs/1510.00126). These patches look like they come from the era a few hundred thousand years after the big bang when electrons and protons first joined forces to create hydrogen, which emits light in a limited range of colours. We can see signs of that era, called recombination, in the light from that early hydrogen. Studying the light from recombination could be a unique signature of the matter in our universe – and potentially distinguish signs from beyond. Since this light is normally drowned out by the glow of the cosmic microwave background, recombination should have been tough for even Planck to spot. But Chary’s analysis revealed spots that were 4500 times as bright as theory predicts. One exciting explanation for this is if a surplus of protons and electrons – or something a lot like them – got dumped in at the point of contact with another universe, making the light from recombination a lot brighter. Chary’s patches require the universe at the other end of the collision to have roughly 1000 times as many such particles as ours. Of course there are caveats, and recent history provides an important reality check. In 2014, a team using the BICEP2 telescope at the South Pole announced another faint signal with earth-shaking cosmological implications. The spirals of polarised light, spotted in the cosmic background, would have provided more observational evidence for the idea of inflation and helped us understand how inflation occurred. But it turned out that signal came from dust grains within our galaxy. 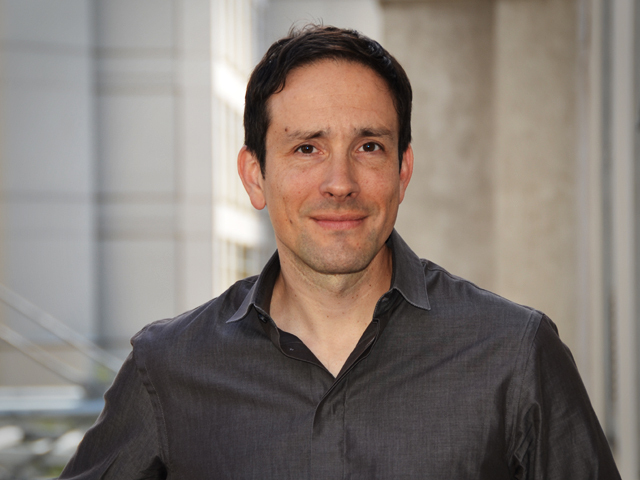 Joseph Silk of Johns Hopkins University in Baltimore, Maryland, is even more pessimistic, calling claims of an alternate universe “completely implausible”. While he thinks the paper is a good analysis of anomalies in Planck data, Silk also believes something is getting in the way. “My view is that they are almost certainly due to foregrounds,” he says. Chary acknowledges that his idea is as tentative as it is exciting. “Unusual claims like evidence for alternate universes require a very high burden of proof,” he writes. He makes an effort to rule out more prosaic explanations. If it is dust, Chary argues, it would be the coldest dust we’ve ever seen. It’s probably not noise masquerading as a signal. It could be carbon monoxide moving toward us, but we don’t usually see that. It could be faraway carbon, but that emission is too weak. “I am certain he made every effort to ensure that the analysis is solid,” says Chluba. Even so, foregrounds and poorly understood patterns could still be the source of the signals. “It will be important to carry out an independent analysis and confirm his finding,” Chluba says. One obstacle to checking is that we’re limited by the data itself. Planck was hyper-sensitive to the cosmic microwave background, but it wasn’t intended to measure the spectral distortions Chary is looking for. Johnson’s team also plans to use Planck to look for their own alternate universes, once the data they need is released to the public – but they estimate that Planck will only make them twice as sensitive to the bubble collisions they’re looking for as they were with WMAP. An experiment that could help might be on its way. 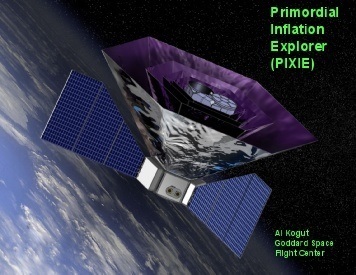 Scientists at NASA’s Goddard Space Flight Center plan to submit PIXIE, the Primordial Inflation Explorer, to be considered for funding at the end of 2016. PIXIE’s spectral resolution could help characterise Chary’s signals if they really are there, Chluba says. But even if they aren’t, reconstructing how inflation happened could still lead us once again back to the multiverse – and tell us what kind of bubble collisions we should look for next. If our universe is just one of many, that could explain why it seems so exquisitely tuned for our existence. If dark energy, the repulsive influence hiding in empty space that speeds up the expansion of the universe, were just a little stronger, matter would be flung apart before galaxies could ever form. If it were attractive instead, the universe would collapse. But it is shockingly puny, and that’s weird, unless our universe is one of many in the multiverse. Compared with what we might expect from quantum theory, dark energy is 120 orders of magnitude too small. So far, no compelling explanation for that discrepancy has emerged. But if the multiverse exists, and dark energy varies from bubble to bubble (see main story), that might not seem so strange. That’s because our own universe might be an oddball compared to most bubbles. In many, dark energy would be too strong for galaxies, stars and planets to form, but not in all. “Plenty of them would have energies as small as what we observe,” says physicist Alan Guth of MIT. That still leaves us struggling to explain why our universe is one of the special ones. Our best answer so far, Guth says, is a philosophical headache: our universe has to be special because we are alive in it. In a more average region, where dark energy is stronger, stars, planets, and life would never have evolved. That could mean life only exists in a sliver of the multiverse, with any conscious beings convinced their own slice of space is special, too. One of the best pieces of evidence for the multiverse was first discovered in 1998, when physicists realized that the universe was expanding at ever increasing speed. They dubbed the force behind this acceleration dark energy. The value of its energy density, also known as the cosmological constant, is bizarrely tiny: 120 orders of magnitude smaller than theory says it should be. The idea that an infinite number of parallel worlds could exist alongside our own is hard to wrap the mind around, but a version of this so-called Many Worlds theory could provide an answer to the controversial idea of quantum mechanics and its many different interpretations. Bill Poirier, a professor of physics at Texas Tech University in Lubbock, proposed a theory that not only assumes parallel worlds exist, but also says their interaction can explain all the quantum mechanics “weirdness” in the observable universe. Poirier first published the idea four years ago, but other physicists have recently started building on the idea and have demonstrated that it is mathematically possible. The latest research was published Oct. 23 in the journal Physical Review X.
Quantum mechanics is the branch of physics that describes the rules that govern the universe on the microscopic scale. It tries to explain how subatomic particles can behave as both particles and as waves. It also offers an explanation about why particles appear to exist in multiple positions at the same time. This fuzzy clump of possible positions is described by a “wave function” — an equation that predicts the many possible spots a given particle can occupy. But the wave function collapses the second anyone measures the actual position of the particle. This is where the multiverse theory comes in. Some physicists believe that once a particle’s position is measured, the many other positions it could take according to its wave function split off and create separate, parallel worlds, each only slightly different from the original. Hugh Everett was the first physicist to propose the possibility of a multiverse — an infinite number of parallel universes that exist alongside our own. He published his Many Worlds theory in the 1950s, but the idea was not well-received in the academic world. Everett ended his career in physics shortly after getting his Ph.D., but many physicists now take the multiverse and parallel-worlds idea seriously. Poirier reworked the Many Worlds theory into the less abstract Many Interacting Worlds (MIW) theory, which could help explain the weird world of quantum mechanics. Quantum mechanics has existed for more than a century, but its interpretation is just as controversial today as it was 100 years ago, Poirier wrote in his original paper. Albert Einstein was not a fan of quantum mechanics. The idea that a particle could exist in a haze of probability instead of a definite location did not make sense to him, and he once famously said, “God does not play dice with the universe.” However, this new MIW theory might have helped to put Einstein’s mind at ease. In the MIW theory, quantum particles don’t act like waves at all. Each parallel world has normal-behaving particles and physical objects. The wave-function equation doesn’t have to exist at all. In the new study, which builds on Poirier’s idea, physicists from Griffith University in Australia and the University of California, Davis, demonstrate that it only takes two interacting parallel worlds — not an infinite number — to produce the weird quantum behavior that physicists have observed. Neighboring worlds repulse one another, the researchers wrote in the paper. This force of repulsion could explain bizarre quantum effects, such as particles that can tunnel through barriers. But how can physicists prove we’re living in just one of millions of other worlds, or that these worlds interact? Poirier thinks it will take some time to develop a way to test the idea. The authors of the new paper hope that expanding the MIW theory will lead to ways to test for parallel worlds and further explain quantum mechanics. Richard Feynman, a physicist who worked on the Manhattan Project, once said, “I think I can safely say that nobody understands quantum mechanics,” but Poirier and his colleagues argue that physicists have much to gain from trying. Then one summer at the Aspen Center for Physics, Peiris found herself chatting with the Perimeter Institute’s Matt Johnson, who mentioned his interest in developing tools to study the idea. He suggested that they collaborate. At first, Peiris was skeptical. “I think as an observer that any theory, however interesting and elegant, is seriously lacking if it doesn’t have testable consequences,” she said. But Johnson convinced her that there might be a way to test the concept. If the universe that we inhabit had long ago collided with another universe, the crash would have left an imprint on the cosmic microwave background (CMB), the faint afterglow from the Big Bang. And if physicists could detect such a signature, it would provide a window into the multiverse. Erick Weinberg, a physicist at Columbia University, explains this multiverse by comparing it to a boiling cauldron, with the bubbles representing individual universes — isolated pockets of space-time. As the pot boils, the bubbles expand and sometimes collide. A similar process may have occurred in the first moments of the cosmos. In the years since their initial meeting, Peiris and Johnson have studied how a collision with another universe in the earliest moments of time would have sent something similar to a shock wave across our universe. They think they may be able to find evidence of such a collision in data from the Planck space telescope, which maps the CMB. The project might not work, Peiris concedes. It requires not only that we live in a multiverse but also that our universe collided with another in our primal cosmic history. But if physicists succeed, they will have the first improbable evidence of a cosmos beyond our own. Multiverse theories were once relegated to science fiction or crackpot territory. “It sounds like you’ve gone to crazy land,” said Johnson, who holds joint appointments at the Perimeter Institute of Theoretical Physics and York University. But scientists have come up with many versions of what a multiverse might be, some less crazy than others. 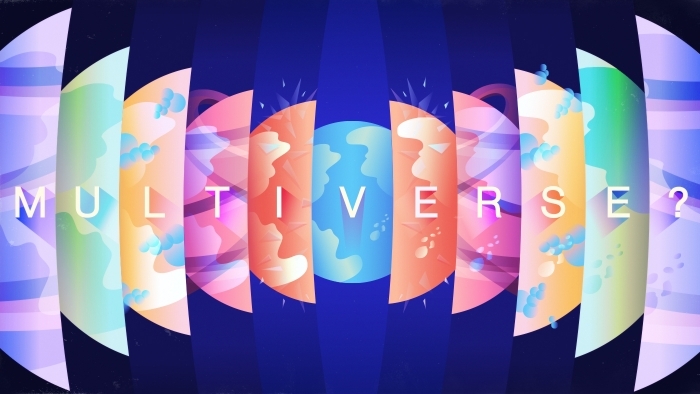 The multiverse that Peiris and her colleagues are interested in is not the controversial “many worlds” hypothesis that was first proposed in the 1950s and holds that every quantum event spawns a separate universe. Nor is this concept of a multiverse related to the popular science-fiction trope of parallel worlds, new universes that pinch off from our space-time and become separate realms. Rather, this version arises as a consequence of inflation, a widely accepted theory of the universe’s first moments. Inflation holds that our universe experienced a sudden burst of rapid expansion an instant after the Big Bang, blowing up from a infinitesimally small speck to one spanning a quarter of a billion light-years in mere fractions of a second. Yet inflation, once started, tends to never completely stop. According to the theory, once the universe starts expanding, it will end in some places, creating regions like the universe we see all around us today. But elsewhere inflation will simply keep on going eternally into the future. 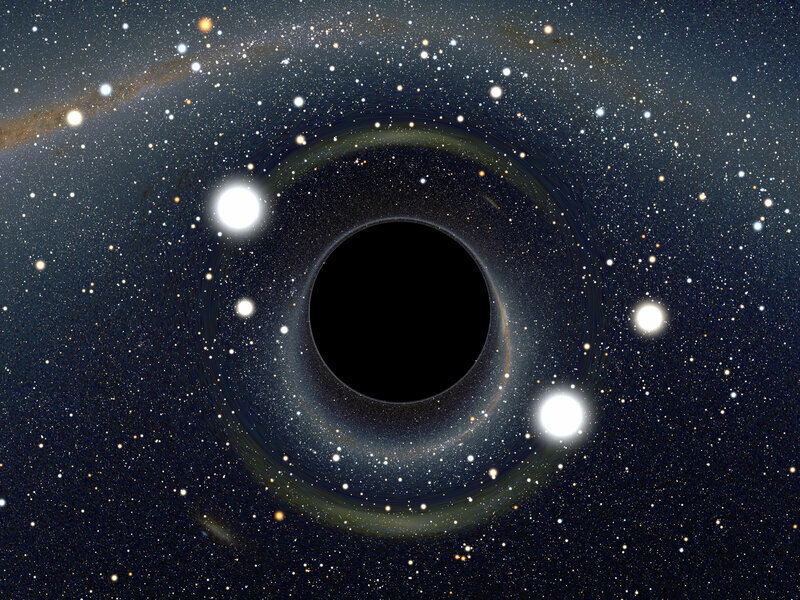 This feature has led cosmologists to contemplate a scenario called eternal inflation. In this picture, individual regions of space stop inflating and become “bubble universes” like the one in which we live. But on larger scales, exponential expansion continues forever, and new bubble universes are continually being created. Each bubble is deemed a universe in its own right, despite being part of the same space-time, because an observer could not travel from one bubble to the next without moving faster than the speed of light. And each bubble may have its own distinct laws of physics. “If you buy eternal inflation, it predicts a multiverse,” Peiris said. In 2012, Peiris and Johnson teamed up with Anthony Aguirre and Max Wainwright — both physicists at the University of California, Santa Cruz — to build a simulated multiverse with only two bubbles. They studied what happened after the bubbles collided to determine what an observer would see. The team concluded that a collision of two bubble universes would appear to us as a disk on the CMB with a distinctive temperature profile. An ancient collision with a bubble universe would have altered the temperature of the cosmic microwave background (left), creating a faint disk in the sky (right) that could potentially be observed. To guard against human error — we tend to see the patterns we want to see — they devised a set of algorithms to automatically search for these disks in data from the Wilkinson Microwave Anisotropy Probe (WMAP), a space-based observatory. The program identified four potential regions with temperature fluctuations consistent with what could be a signature of a bubble collision. When data from the Planck satellite becomes available later this year, researchers should be able to improve on that earlier analysis. Yet detecting convincing signatures of the multiverse is tricky. Simply knowing what an encounter might look like requires a thorough understanding of the dynamics of bubble collisions — something quite difficult to model on a computer, given the complexity of such interactions. When tackling a new problem, physicists typically find a good model that they already understand and adapt it by making minor tweaks they call “perturbations.” For instance, to model the trajectory of a satellite in space, a physicist might use the classical laws of motion outlined by Isaac Newton in the 17th century and then make small refinements by calculating the effects of other factors that might influence its motion, such as pressure from the solar wind. For simple systems, there should be only small discrepancies from the unperturbed model. Try to calculate the airflow patterns of a complex system like a tornado, however, and those approximations break down. Perturbations introduce sudden, very large changes to the original system instead of smaller, predictable refinements. Modeling bubble collisions during the inflationary period of the early universe is akin to modeling a tornado. By its very nature, inflation stretches out space-time at an exponential rate — precisely the kind of large jumps in values that make calculating the dynamics so challenging. “Imagine you start with a grid, but within an instant, the grid has expanded to a massive size,” Peiris said. With her collaborators, she has used techniques like adaptive mesh refinement — an iterative process of winnowing out the most relevant details in such a grid at increasingly finer scales — in her simulations of inflation to deal with the complexity. Eugene Lim, a physicist at King’s College London, has found that an unusual type of traveling wave might help simplify matters even further. In August 1834, a Scottish engineer named John Scott Russell was conducting experiments along Union Canal with an eye toward improving the efficiency of the canal boats. One boat being drawn by a team of horses stopped suddenly, and Russell noted a solitary wave in the water that kept rolling forward at a constant speed without losing its shape. The behavior was unlike typical waves, which tend to flatten out or rise to a peak and topple quickly. Intrigued, Russell tracked the wave on horseback for a couple of miles before it finally dissipated in the channel waters. This was the first recorded observation of a soliton. Russell was so intrigued by the indomitable wave that he built a 30-foot wave tank in his garden to further study the phenomenon, noting key characteristics of what he called “the wave of translation.” Such a wave could maintain size, shape and speed over longer distances than usual. The speed depended on the wave’s size, and the width depended on the depth of the water. And if a large solitary wave overtook a smaller one, the larger, faster wave would just pass right through. Russell’s observations were largely dismissed by his peers because his findings seemed to contradict what was known about water wave physics at the time. It wasn’t until the mid-1960s that such waves were dubbed solitons and physicists realized their usefulness in modeling problems in diverse areas such as fiber optics, biological proteins and DNA. Solitons also turn up in certain configurations of quantum field theory. Poke a quantum field and you will create an oscillation that usually dissipates outward, but configure things in just the right way and that oscillation will maintain its shape — just like Russell’s wave of translation. Because solitons are so stable, Lim believes they could work as a simplified toy model for the dynamics of bubble collisions in the multiverse, providing physicists with better predictions of what kinds of signatures might show up in the CMB. If his hunch is right, the expanding walls of our bubble universe are much like solitons. However, while it is a relatively straightforward matter to model a solitary standing wave, the dynamics become vastly more complicated and difficult to calculate when solitons collide and interact, forcing physicists to rely on computer simulations instead. In the past, researchers have used a particular class of soliton with an exact mathematical solution and tweaked that model to suit their purposes. But this approach only works if the target system under study is already quite similar to the toy model; otherwise the changes are too large to calculate. To get around that hurdle, Lim devised a neat trick based on a quirky feature of soliton collisions. When imagining two objects colliding, we naturally assume that the faster they are moving, the greater the impact and the more complicated the dynamics. Two cars ramming each other at high speeds, for instance, will produce scattered debris, heat, noise and other effects. The same is true for colliding solitons — at least initially. Collide two solitons very slowly, and there will be very little interaction, according to Lim. As the speed increases, the solitons interact more strongly. But Lim found that as the speed continues to increase, the pattern eventually reverses: The soliton interaction begins to decrease. By the time they are traveling at the speed of light, there is no interaction at all. “They just fly right past each other,” Lim said. “The faster you collide two solitons, the simpler they become.” The lack of interactions makes it easier to model the dynamics of colliding solitons, as well as colliding bubble universes with solitons as their “edges,” since the systems are roughly similar. According to Johnson, Lim has uncovered a very simple rule that can be applied broadly: Multiverse interactions are weak during high-speed collisions, making it easier to simulate the dynamics of those encounters. One can simply create a new model of the multiverse, use solitons as a tool to map the new model’s expected signatures onto cosmic microwave data, and rule out any theories that don’t match what researchers see. This process would help physicists identify the most viable models for the multiverse, which — while still speculative — would be consistent both with the latest observational data and with inflationary theory. One reason that more physicists are taking the idea of the multiverse seriously is that certain such models could help resolve a significant challenge in string theory. One of the goals of string theory has been to unify quantum mechanics and general relativity, two separate “rule books” in physics that govern very different size scales, into a single, simple solution. But around 10 years ago, “the dream of string theory kind of exploded,” Johnson said — and not in a good way. Researchers began to realize that string theory doesn’t provide a unique solution. Instead, it “gives you the theory of a vast number of worlds,” Weinberg said. A common estimate — one that Weinberg thinks is conservative — is 10500 possibilities. This panoply of worlds implies that string theory can predict every possible outcome. The multiverse would provide a possible means of incorporating all the different worlds predicted by string theory. Each version could be realized in its own bubble universe. “Everything depends on which part of the universe you live in,” Lim said. Peiris acknowledges that this argument has its critics. “It can predict anything, and therefore it’s not valid,” Peiris said of the reasoning typically used to dismiss the notion of a multiverse as a tautology, rather than a true scientific theory. “But I think that’s the wrong way to think about it.” The theory of evolution, Peiris argues, also resembles a tautology in certain respects — “an organism exists because it survived” — yet it holds tremendous explanatory power. It is a simple model that requires little initial input to produce the vast diversity of species we see today. A multiverse model tied to eternal inflation could have the same kind of explanatory power. In this case, the bubble universes function much like speciation. Those universes that happen to have the right laws of physics will eventually “succeed” — that is, they will become home to conscious observers like ourselves. 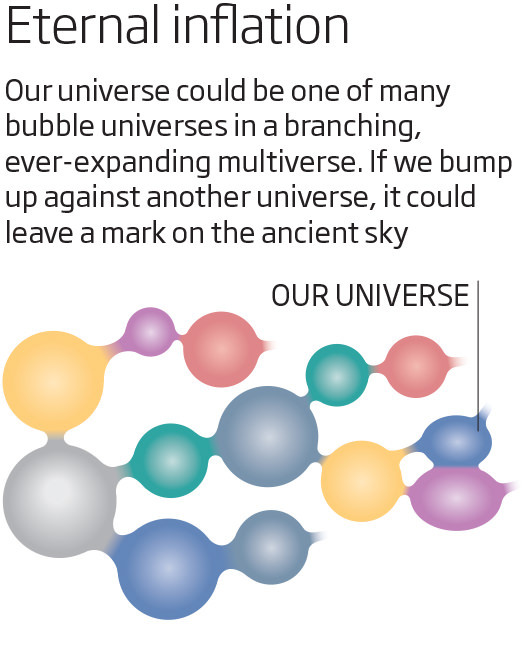 If our universe is one of many in a much larger multiverse, our existence seems less unlikely. Ultimately, however, Peiris’ initial objection still stands: Without some means of gathering experimental evidence, the multiverse hypothesis will be untestable by definition. As such, it will lurk on the fringes of respectable physics — hence the strong interest in detecting bubble collision signatures in the CMB. Of course, “just because these bubble collisions can leave a signature doesn’t mean they do leave a signature,” Peiris emphasized. “We need nature to be kind to us.” An observable signal could be a rare find, given how quickly space expanded during inflation. The collisions may not have been rare, but subsequent inflation “tends to dilute away the effects of the collision just like it dilutes away all other prior ‘structure’ in the early universe, leaving you with a small chance of seeing a signal in the CMB sky,” Peiris said. “My own feeling is you need to adjust the numbers rather finely to get it to work,” Weinberg said. The rate of formation of the bubble universes is key. If they had formed slowly, collisions would not have been possible because space would have expanded and driven the bubbles apart long before any collision could take place. Alternatively, if the bubbles had formed too quickly, they would have merged before space could expand sufficiently to form disconnected pockets. Somewhere in between is the Goldilocks rate, the “just right” rate at which the bubbles would have had to form for a collision to be possible. Researchers also worry about finding a false positive. Even if such a collision did happen and evidence was imprinted on the CMB, spotting the telltale pattern would not necessarily constitute evidence of a multiverse. “You can get an effect and say it will be consistent with the calculated predictions for these [bubble] collisions,” Weinberg said. “But it might well be consistent with lots of other things.” For instance, a distorted CMB might be evidence of theoretical entities called cosmic strings. These are like the cracks that form in the ice when a lake freezes over, except here the ice is the fabric of space-time. Magnetic monopoles are another hypothetical defect that could affect the CMB, as could knots or twists in space-time called textures. Weinberg isn’t sure it would even be possible to tell the difference between these different possibilities, especially because many models of eternal inflation exist. Without knowing the precise details of the theory, trying to make a positive identification of the multiverse would be like trying to distinguish between the composition of two meteorites that hit the roof of a house solely by the sound of the impacts, without knowing how the house is constructed and with what materials. Should a signature for a bubble collision be confirmed, Peiris doesn’t see a way to study another bubble universe any further because by now it would be entirely out of causal contact with ours. But it would be a stunning validation that the notion of a multiverse deserves a seat at the testable physics table. To account for our incredible luck, leading cosmologists like Alan Guth and Stephen Hawking envision our universe as one of countless bubbles in an eternally frothing sea. This infinite “multiverse” would contain universes with constants tuned to any and all possible values, including some outliers, like ours, that have just the right properties to support life. In this scenario, our good luck is inevitable: A peculiar, life-friendly bubble is all we could expect to observe. Many physicists loathe the multivere hypothesis, deeming it a cop-out of infinite proportions. But as attempts to paint our universe as an inevitable, self-contained structure falter, the multiverse camp is growing. The problem remains how to test the hypothesis. Proponents of the multiverse idea must show that, among the rare universes that support life, ours is statistically typical. The exact dose of vacuum energy, the precise mass of our underweight Higgs boson, and other anomalies must have high odds within the subset of habitable universes. If the properties of this universe still seem atypical even in the habitable subset, then the multiverse explanation fails. But infinity sabotages statistical analysis. In an eternally inflating multiverse, where any bubble that can form does so infinitely many times, how do you measure “typical”? For years, the inability to calculate ratios of infinite quantities has prevented the multiverse hypothesis from making testable predictions about the properties of this universe. For the hypothesis to mature into a full-fledged theory of physics, the two-headed-cow question demands an answer. As a junior researcher trying to explain the smoothness and flatness of the universe, Guth proposed in 1980 that a split second of exponential growth may have occurred at the start of the Big Bang. This would have ironed out any spatial variations as if they were wrinkles on the surface of an inflating balloon. The inflation hypothesis, though it is still being tested, gels with all available astrophysical data and is widely accepted by physicists. In the years that followed, Guth and several other cosmologists reasoned that inflation would almost inevitably beget an infinite number of universes. “Once inflation starts, it never stops completely,” Guth explained. In a region where it does stop — through a kind of decay that settles it into a stable state — space and time gently swell into a universe like ours. Everywhere else, space-time continues to expand exponentially, bubbling forever. Each disconnected space-time bubble grows under the influence of different initial conditions tied to decays of varying amounts of energy. Some bubbles expand and then contract, while others spawn endless streams of daughter universes. The scientists presumed that the eternally inflating multiverse would everywhere obey the conservation of energy, the speed of light, thermodynamics, general relativity and quantum mechanics. But the values of the constants coordinated by these laws were likely to vary randomly from bubble to bubble. Steinhardt and other critics believe the multiverse hypothesis leads science away from uniquely explaining the properties of nature. When deep questions about matter, space and time have been elegantly answered over the past century through ever more powerful theories, deeming the universe’s remaining unexplained properties “random” feels, to them, like giving up. On the other hand, randomness has sometimes been the answer to scientific questions, as when early astronomers searched in vain for order in the solar system’s haphazard planetary orbits. As inflationary cosmology gains acceptance, more physicists are conceding that a multiverse of random universes might exist, just as there is a cosmos full of star systems arranged by chance and chaos. Physicists had not yet measured the value of Λ in our universe in 1987, but the relatively sedate rate of cosmic expansion indicated that its value was close to zero. This flew in the face of quantum mechanical calculations suggesting Λ should be enormous, implying a density of vacuum energy so large it would tear atoms apart. Somehow, it seemed our universe was greatly diluted. Weinberg turned to a concept called anthropic selection in response to “the continued failure to find a microscopic explanation of the smallness of the cosmological constant,” as he wrote in Physical Review Letters (PRL). He posited that life forms, from which observers of universes are drawn, require the existence of galaxies. The only values of Λ that can be observed are therefore those that allow the universe to expand slowly enough for matter to clump together into galaxies. In his PRL paper, Weinberg reported the maximum possible value of Λ in a universe that has galaxies. It was a multiverse-generated prediction of the most likely density of vacuum energy to be observed, given that observers must exist to observe it. A decade later, astronomers discovered that the expansion of the cosmos was accelerating at a rate that pegged Λ at 10−123 (in units of “Planck energy density”). A value of exactly zero might have implied an unknown symmetry in the laws of quantum mechanics — an explanation without a multiverse. But this absurdly tiny value of the cosmological constant appeared random. And it fell strikingly close to Weinberg’s prediction. “It was a tremendous success, and very influential,” said Matthew Kleban, a multiverse theorist at New York University. The prediction seemed to show that the multiverse could have explanatory power after all. Close on the heels of Weinberg’s success, Donoghue and colleagues used the same anthropic approach to calculate the range of possible values for the mass of the Higgs boson. The Higgs doles out mass to other elementary particles, and these interactions dial its mass up or down in a feedback effect. This feedback would be expected to yield a mass for the Higgs that is far larger than its observed value, making its mass appear to have been reduced by accidental cancellations between the effects of all the individual particles. Donoghue’s group argued that this accidentally tiny Higgs was to be expected, given anthropic selection: If the Higgs boson were just five times heavier, then complex, life-engendering elements like carbon could not arise. Thus, a universe with much heavier Higgs particles could never be observed. However, even as the impetus for a predictive multiverse theory has increased, researchers have realized that the predictions by Weinberg and others were too naive. Weinberg estimated the largest Λ compatible with the formation of galaxies, but that was before astronomers discovered mini “dwarf galaxies” that could form in universes in which Λ is 1,000 times larger. These more prevalent universes can also contain observers, making our universe seem atypical among observable universes. On the other hand, dwarf galaxies presumably contain fewer observers than full-size ones, and universes with only dwarf galaxies would therefore have lower odds of being observed. 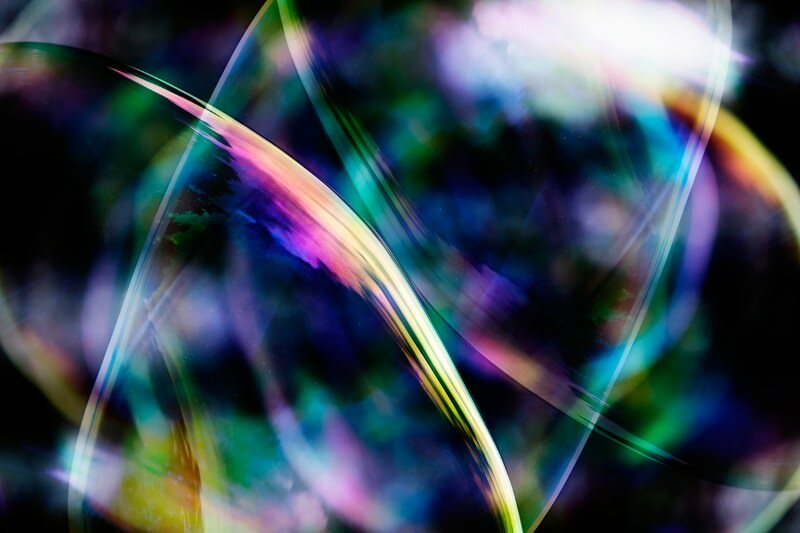 Researchers realized it wasn’t enough to differentiate between observable and unobservable bubbles. To accurately predict the expected properties of our universe, they needed to weight the likelihood of observing certain bubbles according to the number of observers they contained. Enter the measure problem. Guth and other scientists sought a measure to gauge the odds of observing different kinds of universes. This would allow them to make predictions about the assortment of fundamental constants in this universe, all of which should have reasonably high odds of being observed. The scientists’ early attempts involved constructing mathematical models of eternal inflation and calculating the statistical distribution of observable bubbles based on how many of each type arose in a given time interval. But with time serving as the measure, the final tally of universes at the end depended on how the scientists defined time in the first place. “People were getting wildly different answers depending on which random cutoff rule they chose,” said Raphael Bousso, a theoretical physicist at the University of California, Berkeley. Alex Vilenkin, director of the Institute of Cosmology at Tufts University in Medford, Mass., has proposed and discarded several multiverse measures during the last two decades, looking for one that would transcend his arbitrary assumptions. Two years ago, he and Jaume Garriga of the University of Barcelona in Spain proposed a measure in the form of an immortal “watcher” who soars through the multiverse counting events, such as the number of observers. The frequencies of events are then converted to probabilities, thus solving the measure problem. But the proposal assumes the impossible up front: The watcher miraculously survives crunching bubbles, like an avatar in a video game dying and bouncing back to life. In 2011, Guth and Vitaly Vanchurin, now of the University of Minnesota Duluth, imagined a finite “sample space,” a randomly selected slice of space-time within the infinite multiverse. As the sample space expands, approaching but never reaching infinite size, it cuts through bubble universes encountering events, such as proton formations, star formations or intergalactic wars. The events are logged in a hypothetical databank until the sampling ends. The relative frequency of different events translates into probabilities and thus provides a predictive power. “Anything that can happen will happen, but not with equal probability,” Guth said. Still, beyond the strangeness of immortal watchers and imaginary databanks, both of these approaches necessitate arbitrary choices about which events should serve as proxies for life, and thus for observations of universes to be counted and converted into probabilities. Protons seem necessary for life; space wars do not — but do observers require stars, or is this too limited a concept of life? With either measure, choices can be made so that the odds stack in favor of our inhabiting a universe like ours. The degree of speculation raises doubts. This insight led Bousso to develop a multiverse measure that removes infinity from the equation altogether. Instead of looking at all of Instead of looking at all of space-time, he homes in on a finite patch of the multiverse called a “causal diamond,” representing the largest swath accessible to a single observer traveling from the beginning of time to the end of time. The finite boundaries of a causal diamond are formed by the intersection of two cones of light, like the dispersing rays from a pair of flashlights pointed toward each other in the dark. One cone points outward from the moment matter was created after a Big Bang — the earliest conceivable birth of an observer — and the other aims backward from the farthest reach of our future horizon, the moment when the causal diamond becomes an empty, timeless void and the observer can no longer access information linking cause to effect. 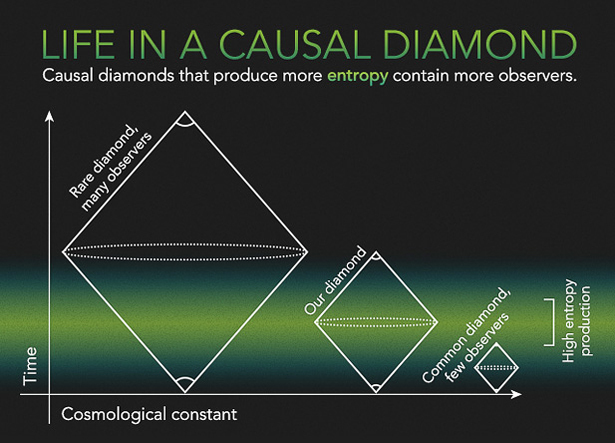 The infinite multiverse can be divided into regions called causal diamonds that range from large and rare with many observers, left, to small and common with few observers, right. In this scenario, causal diamonds like ours should be large enough to give rise to many observers but small enough to be relatively common. Bousso and his collaborators’ causal-diamond measure has now racked up a number of successes. It offers a solution to a mystery of cosmology called the “why now?” problem, which asks why we happen to live at a time when the effects of matter and vacuum energy are comparable, so that the expansion of the universe recently switched from slowing down (signifying a matter-dominated epoch) to speeding up (a vacuum energy-dominated epoch). Bousso’s theory suggests it is only natural that we find ourselves at this juncture. The most entropy is produced, and therefore the most observers exist, when universes contain equal parts vacuum energy and matter. In 2010 Harnik and Bousso used their idea to explain the flatness of the universe and the amount of infrared radiation emitted by cosmic dust. 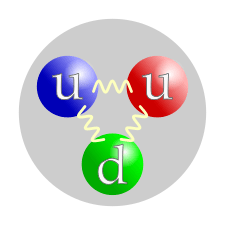 Last year, Bousso and his Berkeley colleague Lawrence Hall reported that observers made of protons and neutrons, like us, will live in universes where the amount of ordinary matter and dark matter are comparable, as is the case here. The causal-diamond measure falls short in a few ways, however. It does not gauge the probabilities of universes with negative values of the cosmological constant. And its predictions depend sensitively on assumptions about the early universe, at the inception of the future-pointing light cone. But researchers in the field recognize its promise. By sidestepping the infinities underlying the measure problem, the causal diamond “is an oasis of finitude into which we can sink our teeth,” said Andreas Albrecht, a theoretical physicist at the University of California, Davis, and one of the early architects of inflation. Kleban, who like Bousso began his career as a black hole specialist, said the idea of a causal patch such as an entropy-producing diamond is “bound to be an ingredient of the final solution to the measure problem.” He, Guth, Vilenkin and many other physicists consider it a powerful and compelling approach, but they continue to work on their own measures of the multiverse. Few consider the problem to be solved. Every measure involves many assumptions, beyond merely that the multiverse exists. Predictions of the expected range of constants like Λ and the Higgs mass always speculate that bubbles tend to have larger constants. And each prediction of one constant keeps all the others fixed at their value in this universe; when all the parameters vary at once, the calculations become too difficult. Clearly, this is a work in progress. Perhaps these multiverse theorists have chosen a Sisyphean task. Perhaps they will never settle the two-headed-cow question. Some researchers are taking a different route to testing the multiverse. Rather than rifle through the infinite possibilities of the equations, they are scanning the finite sky for the ultimate Hail Mary pass — the faint tremor from an ancient bubble collision. Part two of this series, exploring efforts to detect colliding bubble universes, [should] appear on Monday, Nov. 10. Could parallel universes exist? If so, what would they look like and how would they form? The presenter and physicist Brian Cox says he supports the idea that many universes can exist at the same time. The idea may sound far-fetched but the “many worlds” concept is the subject of serious debate among physicists. It is a particular interpretation of quantum mechanics – which describes the often counter-intuitive behaviour of energy and matter at small scales. Prof Cox made the comments during an interview with Radio 4’s The Life Scientific programme. In a famous thought experiment devised by the Austrian physicist Erwin Schrodinger, a cat sealed inside a box can be both alive and dead at the same time. Or any combination of different probabilities of being both dead and alive. This is at odds with most common perceptions of the way the world is. 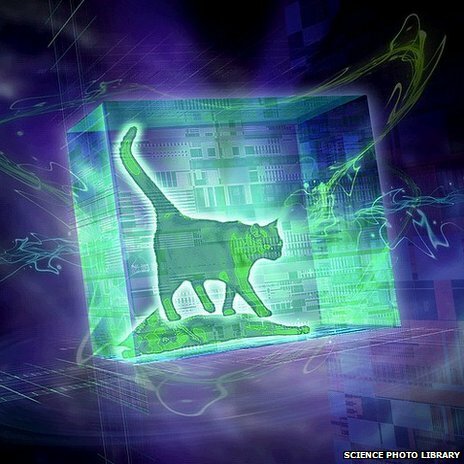 And Schrodinger’s experiment was designed to illustrate the problems presented by one version of quantum mechanics known as the Copenhagen interpretation. This proposes that when we observe a system, we force it to make a choice. So, for example, when you open the box with Schrodinger’s cat inside, it emerges dead or alive, not both. But Prof Cox says the many worlds idea offers a sensible alternative. “That there’s an infinite number of universes sounds more complicated than there being one,” Prof Cox told the programme. Accepting the many worlds interpretation of quantum mechanics means also having to accept that things can exist in several states a the same time. But this leads to a another question: Why do we perceive only one world, not many? A single digital photograph can be made from many different images superimposed on one another. Perhaps the single reality that we perceive is also multi-layered. The laws of quantum mechanics describe what happens inside the nucleus of every atom, right down at the level of elementary particles such as quarks, neutrinos, gluons, muons. 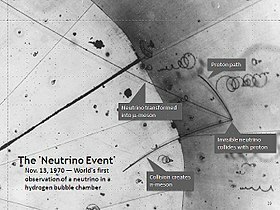 The first use of a hydrogen bubble chamber to detect neutrinos, on November 13, 1970. A neutrino hit a proton in a hydrogen atom. The collision occurred at the point where three tracks emanate on the right of the photograph. In Feynman diagrams, emitted gluons are represented as helices. This diagram depicts the annihilation of an electron and positron. The weird and wonderful world of quantum mechanics reveals that nature is at heart probabilistic. Nothing can be predicted with any certainty. “Everybody agrees about that” says Prof Cox. But where physicists don’t agree is about how these facts should be interpreted. For decades, the Copenhagen interpretation of quantum mechanics, which allows for only one universe, dominated particle physics. But Brian Cox supports the many worlds interpretation and, he believes, more and more physicists are now subscribing to this view.